Buddha Preaching. Handscroll, circa 8th century. Courtesy of The Met. The teachings of the Buddha are called the Lion’s Roar, words of fearlessness and unshakable freedom. 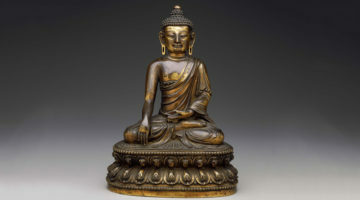 On the night of his enlightenment, the Buddha awakened to the vast and timeless peace of nirvana. He proclaimed that the ropes of clinging and sorrow were snapped, the clouds of confusion and fear dissipated, the powers of aggression and doubt were defeated. He was silently and joyfully free. For forty-five years afterward, he wandered the dusty roads of India proclaiming this freedom and teaching the path of wisdom and compassion to all who had ears to hear. These teachings were eventually written down as sutras, careful records of the teachings of Buddha. These traditional texts include his instructions, his dialogues with students, and accounts of his words pointing the way to liberation. 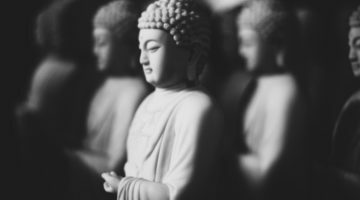 The earliest sutras date from more than twenty-five hundred years ago, while others are teachings from the Buddha mind written down by enlightened disciples in subsequent centuries. The words of the Buddha have great power. The ancient stories tell of many who became enlightened simply by hearing him speak. 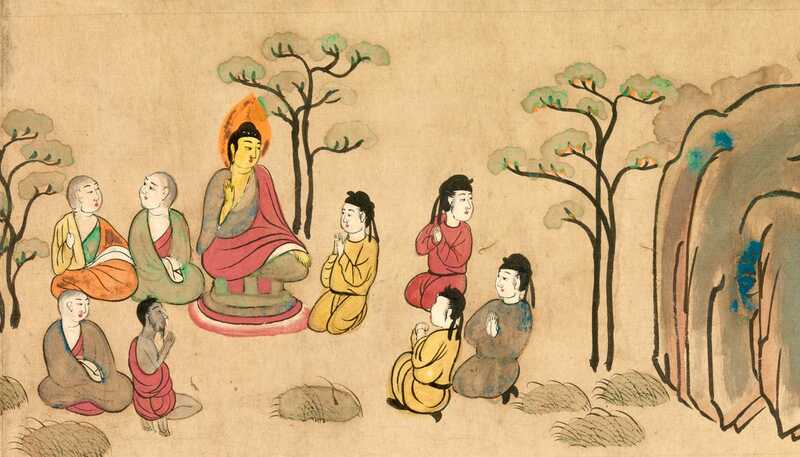 Ananda, the Buddha’s attendant, has depicted these teaching scenes for us, describing how the monks and nuns were seated at the cool wood of Tapoda or in Jivaka’s mango grove, or how a thousand followers were gathered at Vulture Peak. As they listened to the Buddha, their hearts were freed from entanglement in the changing conditions of the world. Their understanding shifted from a limited sense of self, caught in the illusion of separateness and clinging, to the peace of nirvana, open and free. They tasted the joyful freedom experienced when clinging, hatred, and ignorance drop away. Each time he taught, the Buddha pointed the way to this timeless freedom. Dharma means both truth and the path to discover the truth. The dharma is kept alive by all who follow the path. In the same way, the freedom taught by the Buddha is brought to life by the teachers of awakening in modern times. When Zen Master Suzuki Roshi first gave teachings on beginner’s mind, the hearts of many of the students listening were opened to a freedom beyond past and future. When the Dalai Lama took the teaching seat surrounded by thousands of followers in New York’s Madison Square Garden, he pointed the way to the same liberation and compassion as the Buddha. 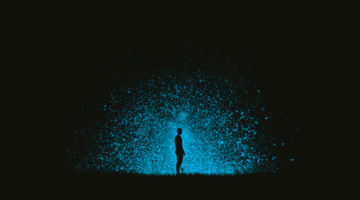 When Sharon Salzberg and Pema Chödrön speak to crowds of students on loving-kindness and compassion, the human suffering and sorrow of all who listen, their conflicts and judgment, are all held in a vast spaciousness of freedom that is our true nature. Dharma means both truth and the path to discover the truth. The dharma is kept alive by all who follow the path. In the forest monasteries of Asia, just before dawn, the monks and nuns gather in the Buddha hall to meditate and to chant “ehipasiko, opanaiko, paccattang veditabbho vinuhittii.” The dharma of liberation is “immediate, open-handed, timeless, visible to the wise, to be experienced here and now by each person in their own heart.” In every generation, this invitation is repeated in an unbroken lineage of voices, a call to live with the great freedom of a Buddha and to discover for yourself the path of virtue, compassion, and wisdom. Adapted from the Introduction to “The Buddha Is Still Teaching: Contemporary Buddhist Wisdom,” by Jack Kornfield. Copyright 2010 by Jack Kornfield. Published by Shambhala Publications 2010. Adapted with permission from Shambhala Publications.